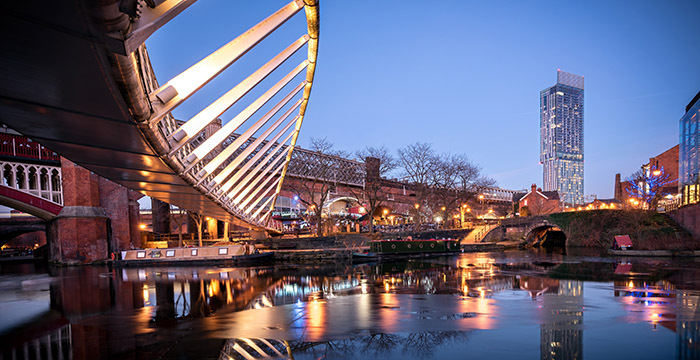 A professional consultancy organisation has teamed up with a group of leading law firms from across Manchester and Leeds in a bid to get lawyers back into the office following career breaks. Women Returners has this week launched the Law Returners programme, a government-funded scheme which offers paid professional ‘returnship’ placements to both women and men who are looking to return to work after an extended career break of 12 months or more. Twenty law firms have signed up to the six-month programme, which will run from February to July 2019, ranging from large international outfits to small high-street firms. Participants include CMS, DAC Beachcroft, DWF, Fieldfisher, Gateley, Horwich Farrelly, Pinsent Masons and Squire Patton Boggs. As part of the programme, the Law Society will provide successful participants with technical training and mentoring, while Women Returners will offer further support to help ease the transition back into the workplace. Applications close on the 25 November and the scheme’s backers are particularly keen to hear from lawyers who have taken time out to look after children or elderly/sick relatives. There are between 30 and 40 positions up for grabs. This programme is one of a number of initiatives run by the Law Society focusing on lawyers returning to work after a career break. It has also appointed Back to Law Ambassadors to champion getting more returners back into firms. Terrific idea worthy of wider adoption. Investment Banks like Goldman have been doing this for years and it’s meant to be a great way of reintegrating people who would normally not aim as high following a career break. DWF is happy having anyone – do by doing this it’s just gaining good PR and nothing more. Show me on this doll where DWF hurt you. Let’s do a survey – SO many people are sick of working at DWF. The IPO? How far can a company scrape the barrel to pay off its debt and enrich its top brass even more? A disgrace of a management. Halliwells II. Come to my office first thing on Monday, 9.00am. We need to chat. Please don’t alter my contract so you can pay me in penny shares post IPO. Oh and DWFcoin wouldn’t work either. I still think Irwin Mitchell are better. That’s because they even have social justice volunteers that peer through the windows to supervise wrongdoings in neighbouring law firms.